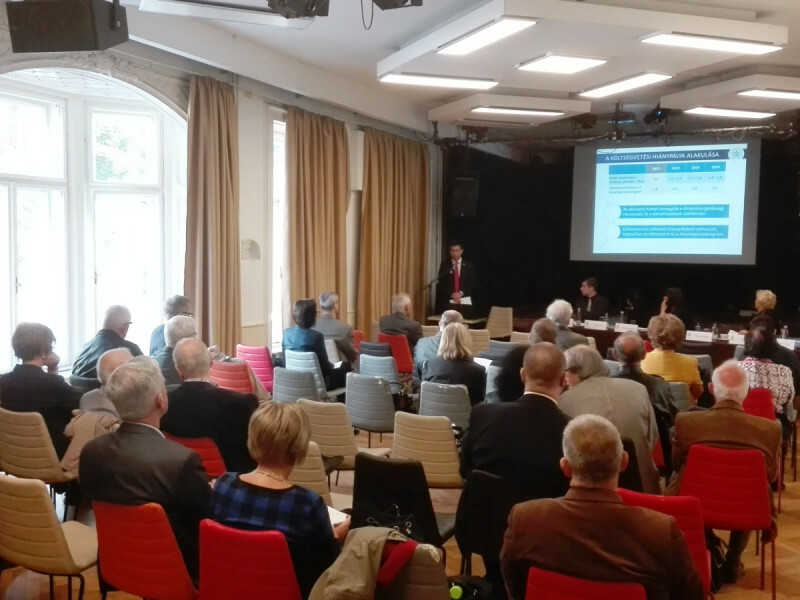 The traditional autumn conference of the Hungarian Economic Association and the Fiscal Council of Hungary was held in order to present the background studies prepared for the Fiscal Council on Tuesday, 16 October 2018 in the Kossuth Club. This year the subject of the presentations, in addition to the macroeconomic and public finance processes, focused on the impacts of health care modernisation measures on the public funding of health care, as well as developments in public and private funding to date and in the future. The speakers of the event were include Gergely Baksay, Director of Fiscal and Competitiveness Analyses, National Bank of Hungary; Magdolna Holmann, Secretary General of the State Audit Office; Ilona Cserháti, Associate Professor of Corvinus University of Budapest, Research and Analysis Centre for Economic and Social Statistics; Gábor Regős, Chief Economist of Századvég Gazdaságkutató Zrt. ; Judit Antal, Chief Economist of Innovative Economic Solutions/OG Research, and Imre Boncz, Head of Research, University of Pécs. The conference was chaired by Árpád Kovács, Chairman of the Fiscal Council and Lifetime Honorary President of the Hungarian Economic Association.